In Orlando, kitchen cabinets are a key factor in any kitchen remodel. The look of your kitchen will certainly be affected by your cabinetry choice, but even more importantly, your cabinets and storage spaces will determine how well your kitchen functions, how easy it is to keep clutter-free, and how comfortable the space feels when you are in it. The finish and materials your cabinets are made from are more important than you might think, and in a place where resale value is as important as it is in Orlando, kitchen cabinets are likely to make or break the space. No matter what your style preference is, it is worth the time it takes to consider all your options before you begin remodeling. Though it might seem a little tedious, doing your homework before you pick your cabinets will lead to a more attractive, better functioning, and ultimately more valuable kitchen when the hammers stop swinging! When you install kitchen cabinets, Orlando homeowners have two main options: stock and custom. For many, the affordability of stock cabinetry is simply too enticing to pass up! Stock cabinets are remarkably cheap compared to the competition because they are mass-produced. While this limits both the dimension and design of your cabinets, be aware that stock cabinets come in enough styles, finishes, and sizes that just about every homeowner still be able to come very close to a perfect fit. Stock cabinetry is typically not as well made as custom cabinetry, and in unusually shaped spaces, their predetermined dimensions may not fit the bill; however, when it comes to low-prices, there's simply no other way to go. There are several places you can try to find stock kitchen cabinets. Orlando homeowners who are particularly web-savvy might be able to find some fantastic deals online. You can also find stock cabinets at your local home improvement store. Be aware, however, that if you go either of these routes, you'll still need someone to install them. Chain stores in particular are notorious for over-charging on installation. By talking to independent cabinet installation contractors or kitchen designers, you can often find similar deals on stock cabinetry with a better rate for installation and overall costs. The fist thing to consider when deciding what to do with your bathroom cabinets is whether or not you are happy with how they perform. If you are happy with the amount and quality of storage space your existing cabinetry provides, you can upgrade the look of your cabinets without altering their structure. This will, of course, be a less expensive and less involved process than replacing your cabinets or changing their layout. A fresh coat of paint and changing your cabinet hardware can make an enormous difference in the appearance of your bathroom with a very modest investment, but it's not your only option. If a new coat of paint doesn't seem like it will make the kind of difference you're looking for, you can reface or resurface your cabinetry for an even more noticeable change in appearance. Resurfacing is an excellent option for wood cabinets; the old finish will be sanded off revealing a brand new wood surface. Once this new surface is exposed you can stain and varnish your cabinets, making them look showroom sharp. For other homeowners in Orlando, cabinet refacing is probably a more appropriate option. The process of refacing makes cabinets look brand new because the visible surfaces will be covered with a brand new material. Costing up to $5,000, refacing kitchen cabinets is often a pricey project in and around Orlando; cabinet refacing in your bathroom, however, is going to be much cheaper since there won't be near as much surface to cover. If you aren't happy with the functionality of your existing bathroom cabinets, Orlando homeowners are in for a slightly larger, more costly project. The extra cost of this project might seem intimidating, but the benefits of replacing your old cabinets can be significant. In smaller bathrooms, you might want to avoid adding more cabinets than you already have as the space can easily become cramped; if your bathroom is less than spacious to begin with, installing built in cabinetry (which utilizes space behind the walls rather than in the room itself) is an excellent option. If you have a larger bathroom, but are lacking in storage space, adding more cabinetry is less likely to cause problems with you floor-plan. When you replace cabinets, you can opt to purchase stock cabinetry online or from a home improvement center to keep your costs low and make the installation process as simple as possible, or you can choose to purchase custom cabinetry. Custom cabinets can get expensive, but there is no better way to get exactly what you want in both appearance and performance. When purchasing custom cabinetry, you will be able to work directly with the builder to create a storage system that fits both your bathroom and your tastes perfectly; though stock cabinetry is definitely cheaper (and in some cases, not of as high quality), homeowners will simply have to make due with what is available. By choosing custom made kitchen cabinets, Orlando homeowners will not only get exactly what they want aesthetically, but freedom in design and high-quality craftsmanship, as well. Orlando kitchen cabinet makers don't work for peanuts, however, so prepare yourself for a little sticker-shock if you go this route. Most kitchens are not oddly-shaped enough to make having your cabinets custom built an absolute necessity, but when you want to have complete control over what the finished room looks like and how it will perform, there is simply no better option. The difference between hiring someone to build your cabinets and hiring someone to install manufactured cabinets is one of kind, not degree. The look, feel, and function of custom cabinet making will blow away the competition, and if you want to choose one area of your kitchen remodel to splurge on, this is a great idea. Cabinets that are created to match the space will give you unequaled appearances, and the high-quality work will mean that you won't have to worry about frequent repairs or premature replacements. Additionally, if have an odd corner or nook in your kitchen space that stock cabinetry won't match, you might consider hiring a cabinet maker just to build you a single, custom cabinet to solve this problem. Regardless of the style of cabinetry you select, the overall size and complexity of your cabinetry will determine the price tag, which can range from a few hundred to many, many thousands of dollars. According to our figures, Orlando kitchen cabinets are likely to cost somewhere around $7,000 or $8,000 (installed) if you opt for stock cabinetry. On the other hand, we've seen custom kitchen cabinetry projects go more than $25,000! These figures are not, of course, going to apply to every cabinet project. The contractor you choose, the material you pick, and even the finish you choose can all play a role in how much your particular project will run. Especially when dealing with custom cabinets (but still a large factor with stock installations, too), the company you hire to do the work will play a huge role in how the finished space looks and how far your remodeling dollar takes you. Because Orlando kitchen cabinets are a formidable investment no matter what you choose, it is extremely important that you find a reputable company for the job. Just about every cabinet installer in Orlando will have an ad in the phone book, but such ads give you little to no information about how each company will perform once they get to your house. We'd like to offer a better way. HomeAdvisor specializes in matching homeowners to reputable, trustworthy local contractors. Each of our Orlando cabinet makers and installers has been put through a rigorous 10-step screening process. Plus, our quality-controlled, online database of customer ratings and reviews allows you to see what other Orlando homeowners have said about individual contractors. These reviews give you a better glimpse at how a particular company will perform for you, and also create a powerful motivator for contractors to meet and exceed your expectations. Additionally, when you send a request through HomeAdvisor, you'll be able to get several quotes from several different contractors, giving you a better idea of how much your particular project could (and should) cost. While a phone book can certainly give you phone numbers, we've yet to see the yellow pages in any city match the kind of info we offer those who go through HomeAdvisor! Building custom bathroom cabinets in Orlando isn't cheap. Often, building custom cabinets can run over $5,000! According to the numbers HomeAdvisor sees from Orlando, installing cabinets runs about $4,200 on average (not including the purchase price of the cabinets). 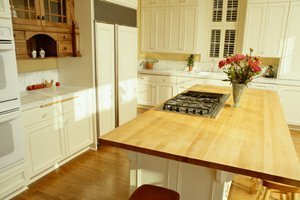 If you are happy with your existing cabinets, expect to pay around $1,500 to have them refinished. Simply painting cabinets and replacing hardware can sometimes be done by a handy homeowner for a few hundred bucks. No matter what your price range, there's a way to make your bathroom cabinets look great; if you're unhappy with how your bathroom looks, any one of these upgrades can make a significant difference in very little time! Comment: It's a small job. Replace laminate on 2 cabinets, replace doors and door fronts, adjust existing hardware. Comment: Two Lazy Susan type cabinets need to be repaired or more likely replaced. Comment: Dark brown smooth surface kitchen cabinets to be painted white. Acce Building Services and Cabinets, Inc.
5845 Old Winter Garden Rd. Orlando Cabinet Contractors are rated 4.79 out of 5 based on 825 reviews of 98 pros. Not Looking for Cabinets Contractors in Orlando, FL?